I have seen them for $45. What we use for a Hack-n-Tap yoke, 1310 u-joint style that fits 231 and 242 transfer cases (not flange type yoke) is an off the shelf product. It is used in some Corvettes. Where would you find a "off the shelf" yoke? I have the full shaft and and RE H&T if you're interested. I'm on the opposite coast, though. 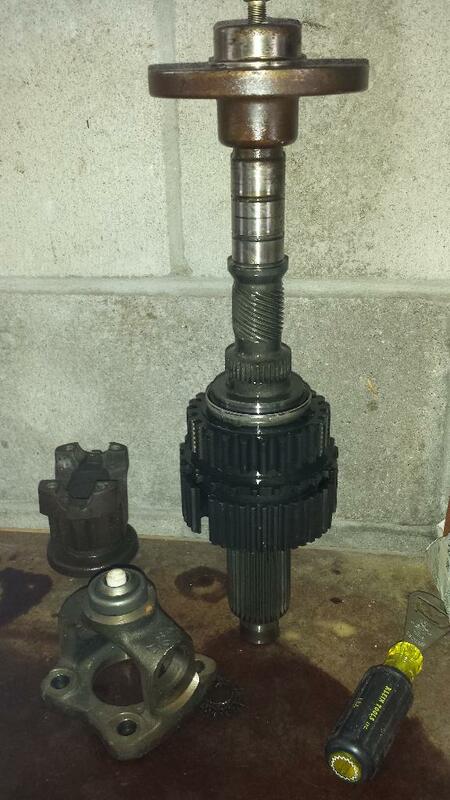 I also have a couple of the flanges for the driveshaft, one is new, the other is used. Let me know if you're interested. Thanks for the offer but ill pass, looking for a non flange style yoke for the hack n tap. Got 1.5" spacers to trade and 3.5"-4.5" rubicon express coils to trade with also. Also a mint over head console from a 93 grand Cherokee. Has the temp, and compass feature and key fob dealio. Have a harnes from a 98'-99' xj that I was gonna splice to make it work in mine. AW4 from an '89 XJ.